My grandpa Wally is one of the greatest people on the planet. If there are two things I really know about him, he loves Coors Light and seafood. Since he lives in Wisconsin (nowhere near the ocean), we always treat him to our favorite seafood joints when he visits Seattle. One of our latest stops was Wally’s Chowder House in Des Moines, because it just made so much sense to take Wally to Wally’s. Wally’s Chowder House (22531 Marine View Drive South in Des Moines) offers a casual seafood dining experience with a view of the Puget Sound. We went there for lunch and the place was packed with people. I guess it just goes to show how popular Wally’s is with locals. We didn’t have to wait for a table, but it looked like every seat in the restaurant was taken. There’s a reason Wally’s Chowder House was packed: it serves good food. This should come as no surprise, the “award winning” chowder is the most popular item on the menu (hence the name Wally’s Chowder House). 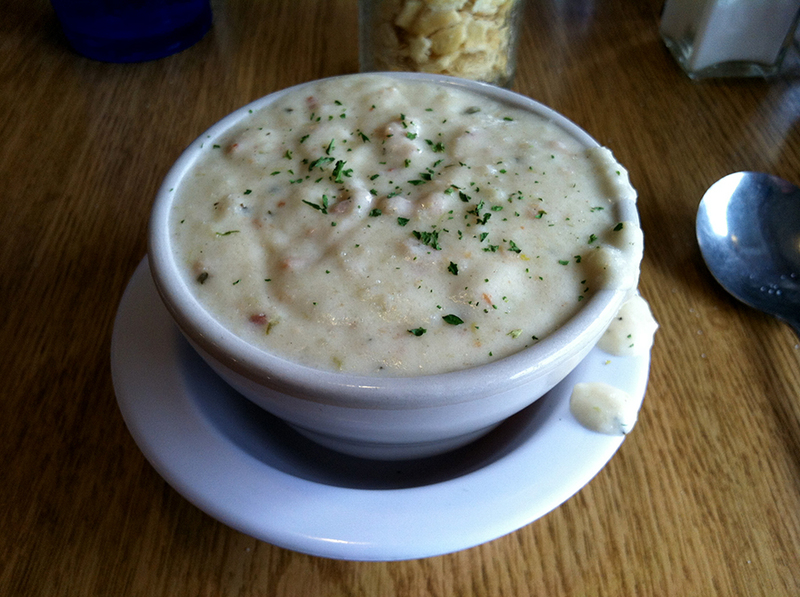 You can order New England clam chowder (white) or Manhattan Style (red) in a cup, bowl, quart, or a bread bowl. I only ordered a cup of the New England clam chowder (so I could save room for some fish and chips), but it was more than enough for me to say that it’s really tasty. There are several different types of “famous” fish and chips at Wally’s Chowder House. 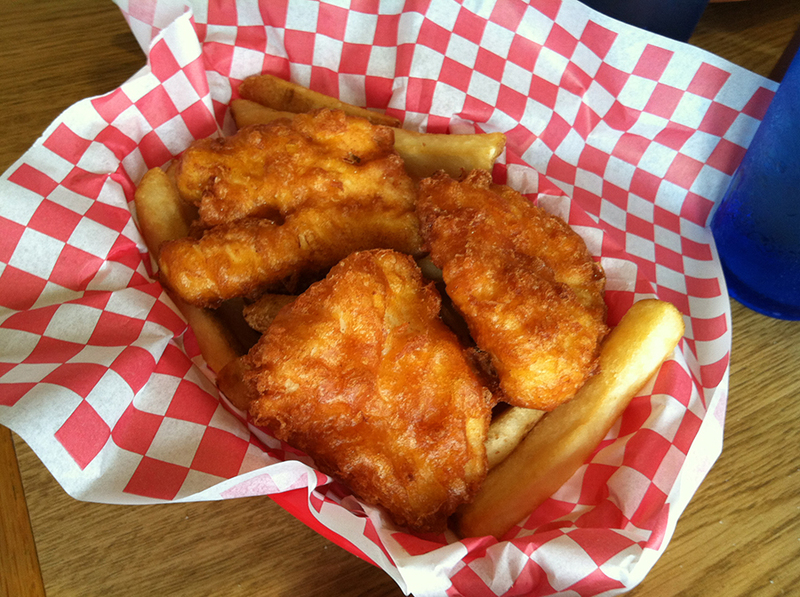 The featured fish and chips are the Giant Alaskan Cold Water Cod Filets. They come in orders of one-piece (a generous portion for one), two pieces (enough for two or one big eater), three pieces (easily enough for three people), and a six-piece family meal. If you’re not feeling the cod, you can also order halibut and chips (like I did) and/or salmon and chips. All orders of fish and chips at Wally’s Chowder House come with bottomless steak fries. NOTE: I don’t know if it’s the best deal in the house, but it’s easily the coolest. 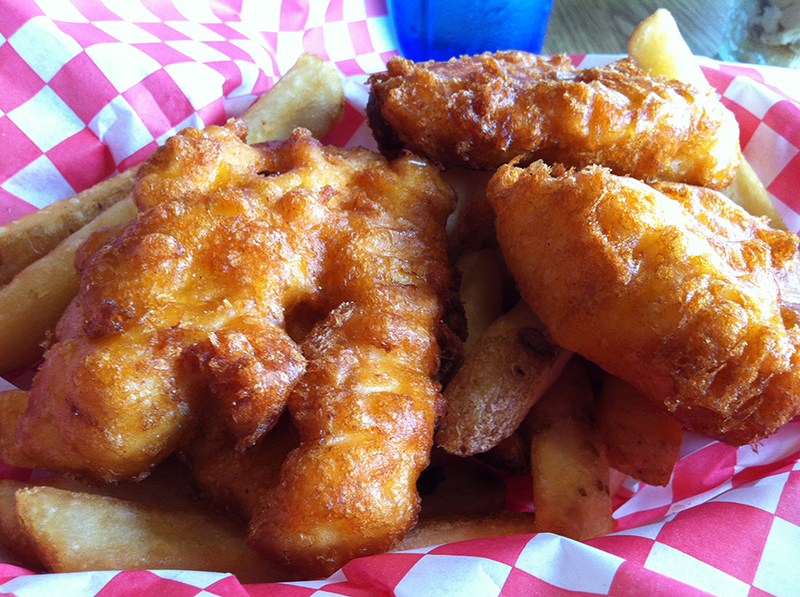 Wally’s Chowder House offers all you can eat fish, chips and chowder every single day for $14.99. They also take a dollar off that price on Mondays between 4pm-8:45pm. On top of chowder and fish and chips, Wally’s Chowder House also serves seafood platters and specialty dinners. The options range from the Combo Platter (beer battered halibut, prawns, scallops, clam strips, and cod medallions) to Almond Crusted Halibut (topped with fresh sautéed mushrooms and their homemade cream sauce). There are also non-seafood items on the menu at Wally’s Chowder House, like chicken, steak, burgers, and salads. Wally’s Chowder House has served great seafood in Des Moines since 1993 and it’s not going away anytime soon. If you find yourself in the area, you should definitely stop by for lunch or dinner. It’s a fun atmosphere with good food. And most importantly, Wally’s Chowder House received my grandpa Wally’s stamp of approval. How can you beat that?! Have you ever eaten at Wally’s Chowder House in Des Moines? How was your experience? We’d love to hear from you! Please leave a comment below or connect with us on Twitter, Facebook, and Google+. 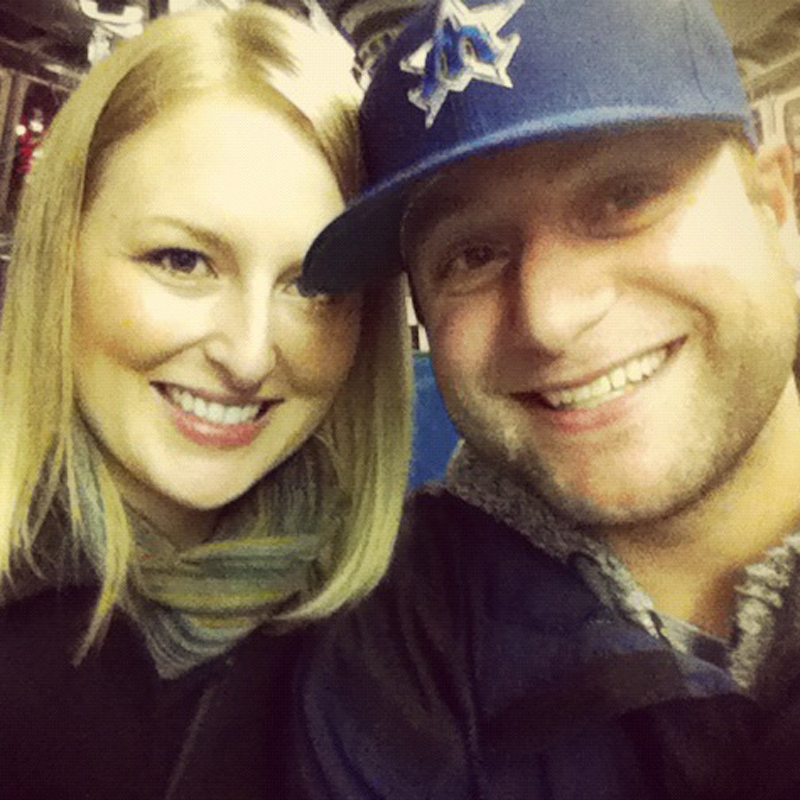 Don’t forget to also visit Seattle Bloggers for more great places to eat and drink around the Puget Sound!